1. Adopts Low alloy steel plate and solid bearing. 2. Double pawl and guide wheel. 3. 800pa strong load chain. 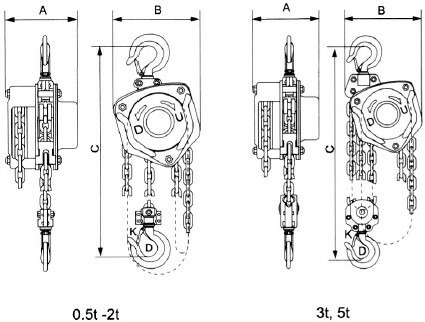 *Our best and powerful designed,all-steel 2 ton chain block. *Bearing mechanism to improvemechanical effciency. *The drop-forged topand bottom hooks we designed are specially for slow bending to warn overload. 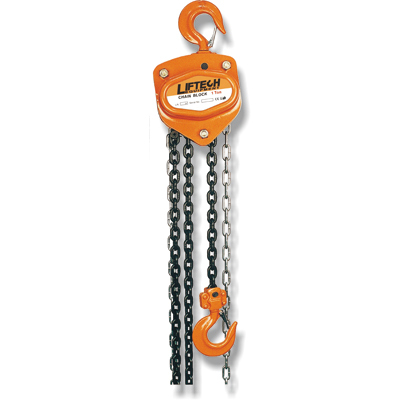 *Load chain sprocket whichis hand lifting chain hoist made of alloy steel with heat treatment and precision machining.